Triple fish monofilament is a dependable, angler-friendly fishing line that offers unbeatable value for weekend Warriors and has been a favorite of many commercial fisherman for years. 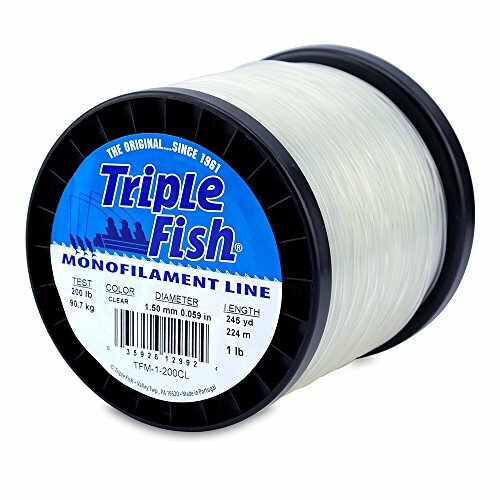 This monofilament is a terrific multi-purpose line for bottom fishing, wreck fishing, casting and trolling. The line is available in and Pink colors on quarter lb., 1lb, 2lb and 5lb spools.